Tickets are $20. Parents need not buy a ticket. They may observe the event, but seating is for children only. Please contact the box office at 877.571.SHOW (7469) for more information. Clara invites you for a special meet-and-greet tea party in The Hanover Theatres McDonough Room. 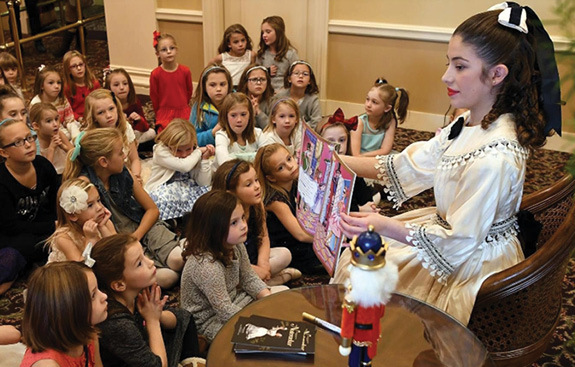 At this exclusive event, Clara will read the story of The Nutcracker ballet and whisk your child off to a magical hour of dancing, eating cookies and sipping tea. Take personal photos with this iconic ballerina, and enter for a chance to receive a signed autograph picture and dance away with Claras famous pointe shoes!